@Wizard101 @FriendlyNecro how many retweets for a free crowns code for everyone? #AskKi will there be more ways to get free crowns legitimately in the future? @Wizard101 crowns are green. We should get some for free eh? @Wizard101 hey how do i get crowns for free ill do anything just between u and me i wont tell!!!!!!!!!!!!!!!!!!!!!!!!!!!!!!!!!!????????????? @Wizard101 DANG, ARE YOU PEOPLE, EVER GONNA GIVE ME SOME FREE CROWNS?! @BlazeLH @YouTube yo Blaze can I get free crowns. @KingsIsle When will there be the "Free crowns" day ? @duelcircle_PvP i literally will buy a code from you guys, give me your paypal!! We’re giving away 10,000 crowns. Yes, it’s true. 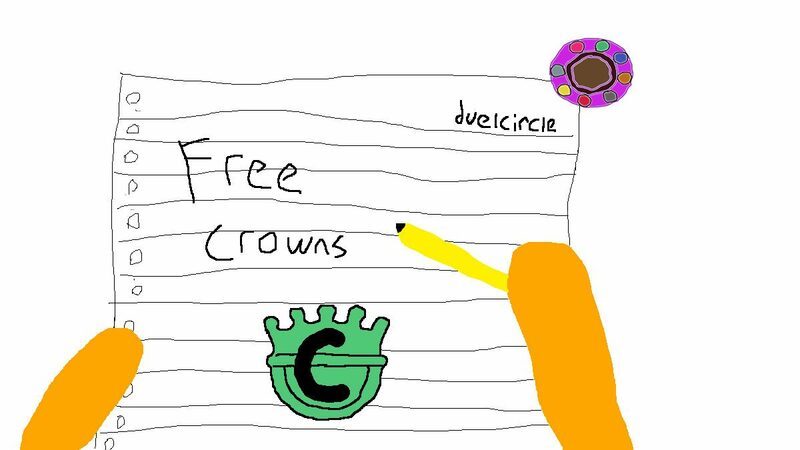 Redeem the code “DuelCircleCrowns” for your crowns. First 1,000 people only. Now stop asking us and KingsIsle for free crowns.